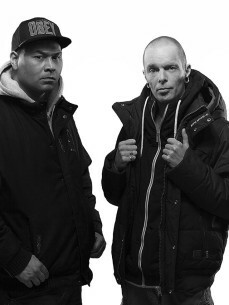 With more over a decade of hardstyle, fact is that Deepack is also one of the first Dutch hardstyle acts/duo's around since day 1.
of his own career which consumed a lot of time, Marcel & Frank continued with the project later on their own. Marcel and Frank both have different musical backgrounds, played in several bands but also shared a huge interest in electronic music. With that in mind, they decided and liked to experiment with different music genres and started producing together after they met each other in high school in the early 90′s. Over the years they released EDM projects in various styles/genres and aliases on a diversity of record labels. Because of their way of giving their style a unique sound, their performance on stage and background, this energetic dj-duo is still found in the line ups of clubs worldwide.